We are happy to share a very good piece of news with our community! As you may know, the Crypto Games Conference, an event dedicated to blockchain games and services, was coming to a close in Minsk just the other day. 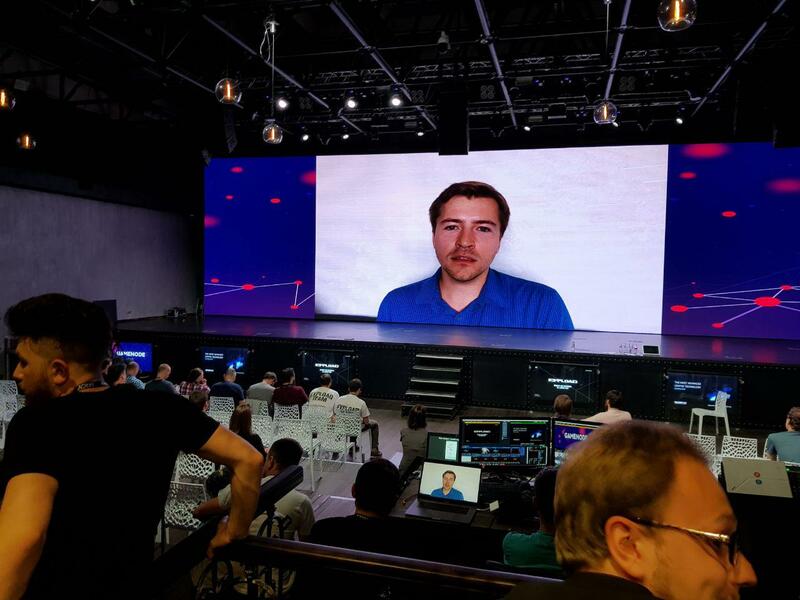 One of the important points on the whole event’s agenda was the awards ceremony, where blockchain game developers sat breathless awaiting the final announcements. What a goosebump-triggering moment that was. So, when the time came, the wonderful hosts named 0xUniverse the 3rd best crypto game! Just check out this footage from the conference. That was really an amazing experience. We’ve been working so hard on our blockchain galaxy since the day the idea for the game was conceived. These same days – and that came as a pleasant surprise – our game hit almost 230 daily users on Dappradar ranking 3rd on the website. Which was another reward that we must thank our great community for: our dear space explorers, we wouldn’t have come so far without you! Yes, we are indeed aware that 3rd is not 1st, both in Minsk and on Dappradar. However, there is always room for improvement. And our team will be eagerly and arduously continuing to make blockchain gaming a truly exciting experience. These are hectic times ahead, so fasten up and get ready to rock the space!